RCS (Rich Communication Services) is a next generation SMS protocol that upgrades text messaging. Rich features like payments, high-res photo & file sharing, location sharing, video calls, and much more, are delivered to a device’s default messaging app. Every day, billions of people and thousands of businesses connect via text messaging, a modern way to communicate that's actually been around for over 30 years. RCS (Rich Communications Services) is a next-generation SMS protocol being championed by the GSMA, Google & Android, Samsung, and many carriers and mobile phone manufacturers. And for businesses, the recently released RCS Business Messaging opens even more doors for customer engagement, marketing, and sales. SMS has become an essential part of our lives. As of 2007, users were sending more text messages than phone calls, and now, with an SMS function available in all mobile devices, usage among all age groups has skyrocketed. Businesses, too, increasingly rely on SMS to support customers, ask for feedback, and reward loyalty with special offers. 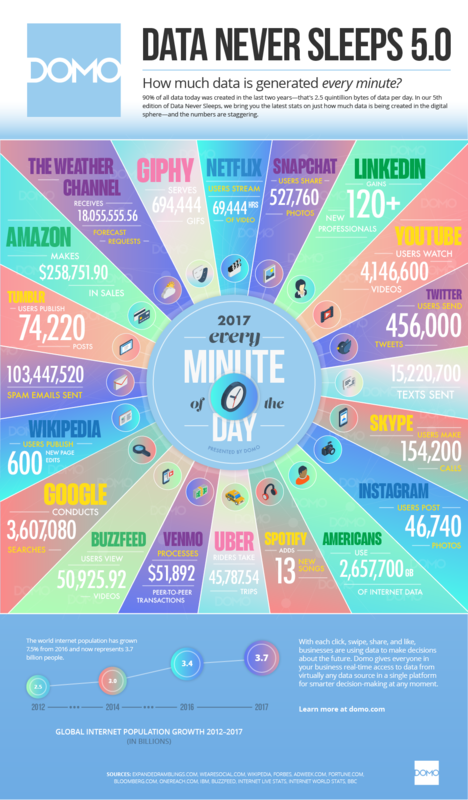 All told, there are over 15 million texts sent every minute. That’s 22 billion SMS messages a day! Because texting is so simple, and the messages are short by design, consumers love using SMS to engage with businesses. They don't have to sit on hold, take time out of their day to visit a business in person, or wait long for an email to be responded to. They can fire off a quick message in between everything else they're doing, and be assured to get a succinct reply in no time. Businesses also love the channel; in addition to the consumer preference for texting, there’s also its ubiquity, global reach, immediacy, and unrivalled open rates. Sure, email open rates are great at 20-30%. But according to a Dynmark study, email can’t compete with the 98% open rate that SMS enjoys! In fact, 90% of texts are read within 3 seconds, and nearly a third (29%) are responded to! SMS isn’t alone in its popularity. Apps like WhatsApp and Facebook Messenger, each with over 1.2 billion users, compete in a crowded market with iMessage, WeChat, Slack, Skype, Viber, Android Messages, and many others. These free and low-cost messenger apps provide an experience that builds on SMS, offering group chat, image sharing, video, audio, and a seemingly endless range of emoticons. Once you’ve used one of these feature-rich apps, it’s easy to see why they’ve taken off. The popularity of chat apps is perfect for businesses looking to engage with consumers in increasingly ’sticky’ ways. But the sheer number of different apps has fragmented the landscape. To support users across such a crowded messaging ecosystem, developers have to wrestle with variations in APIs, capabilities, and tooling. Keeping up has proven to be difficult, time-consuming, and — most important — costly. Enter RCS, an upgrade to SMS through a universal standard known as Rich Communications Services. RCS, a platform that’s significantly more interactive and capable than today’s SMS, has been supported and promoted by the GSMA since 2008. In short, RCS makes text messaging as engaging as WeChat, WhatsApp, and other messaging apps while providing the reach of SMS & MMS. Rich features like high-res photo and video sharing, mapping directions, location sharing, typing indicators, the ability to add and remove members to group chats, and so much more, are delivered to a device’s default messaging app irrespective of the network the user is on. So whether it’s person-to-person (P2P) messaging between friends or application-to-person (A2P) messaging used for business purposes, RCS is changing the way everyone communicates. As you might imagine, A2P messaging can be a little more complicated than messaging in a P2P context. Previously, to support users across multiple messaging channels such as SMS or Facebook Messenger, developers found themselves grappling with variations in APIs, app capabilities, and display restrictions. RCS messaging posed similar challenges. While allowing businesses to move beyond basic texting, RCS messaging remained costly and difficult to develop and deliver due to a lack of standardization. But by coming together under the umbrella of the GSMA's Universal Profile for RCS, carriers can cost-effectively provide RCS messaging to businesses and help them engage more users than ever. RCS business messaging (the term used by the mobile industry for rich business-to-consumer messages) will help organizations of all sizes benefit from creating truly branded conversations across networks and sent to any device. This can include delivery of things like digital concert tickets and boarding passes, hi-def video and PDFs, product carousels that consumers can browse and buy from, and suggested replies and actions for more straightforward A2P engagement. 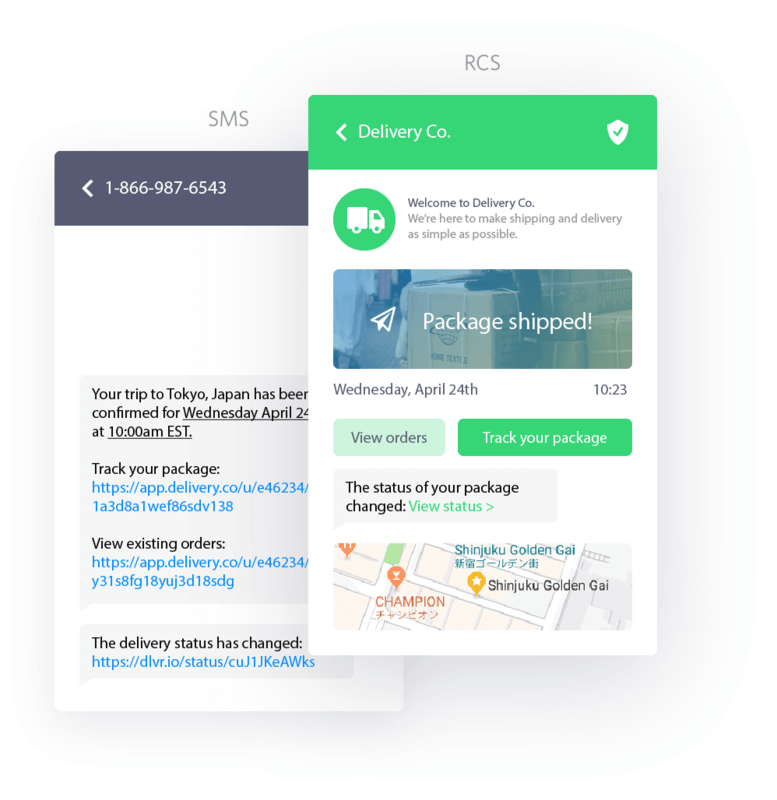 In addition, RCS Business Messaging helps alleviate consumer ‘fear-of-fraud” by indicating that the message delivered is from a verified businesses sender. It also lets marketers know how messages are performing with real-time data on when messages are delivered and read, and whether recipients have tapped on embedded app links. RCS Business Messaging lets businesses move beyond texting to send beautiful images and customized offers. This was a perfect fit for 1-800-Flowers.com, one of the first brands to integrate RCS Business Messaging into their digital customer communications. 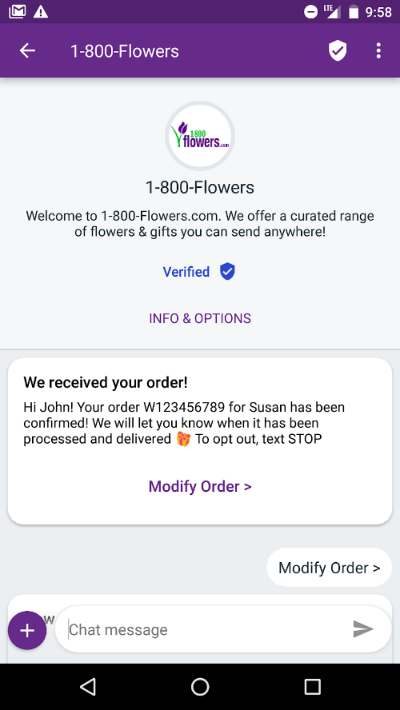 Having used Twilio Programmable SMS to ensure that recipients are always aware of what’s going on with their orders, 1-800-Flowers.com found it easy to quickly extend this experience to support RCS using the same API. Now the company is bringing richer experiences, built with Twilio, to supported devices, and is allowing customers to make, modify, and track orders, and adjust the delivery window, all without leaving the messaging app. Best of all, customers on the receiving end of the RCS messaging never have to dial the phone or sit on hold to speak with a CS agent. Why is the mobile marketing world all abuzz about RCS Business Messaging? To get a clear picture we'll need to go back a few years. In an attempt to bring rich messaging to its Android products, Google bought Jibe Mobile, a cloud-based startup trying to make RCS work for businesses with a handful of carriers. Through Google, Jibe now connects carrier traffic to a universal RCS platform that works across many carriers (i.e., Deutsche Telekom, Globe Telecom, Orange, Rogers, SK Telecom, Sprint, Telenor, T-Mobile, Vodafone, and others) and mobile device manufacturers (i.e., Archos, BQ, Cherry Mobile, Condor, Fly, General Mobile, HMD Global - Home of Nokia Phones, HTC, Kyocera, Lanix, Lava, LeEco, LG, Micromax, Motorola, MyPhone, QMobile, Sony, Symphony, Wiko, ZTE, as well Pixel and Android One devices among others). Google, through its Early Access Program, is helping brands and developers adopt RCS business messaging more easily. Currently, RCS is supported by over 50 carrier networks and is serving nearly 160 million users globally on handsets developed by over 20 international manufacturers. The GSMA estimates that there will be 350 million RCS users by the end of 2018, and a billion in 2019. Here at Twilio, we're already starting to see some innovative and engaging ways that business marketers are thinking about using RCS. And since Twilio RCS is just one part of an omni-channel API, we’re helping these brands “future proof” their development efforts by making it easy to expand reach to the channels customers are using most. Today it might be Facebook Messenger, tomorrow it might be Slack, or something else. And like with any new technology, we’re excited about enhancements to the platform that will continue the momentum. Greater Reach: There are already dozens of carriers conforming to the GSMA's Universal Profile, and it’s anticipated that others will soon adopt the platform in efforts to remain competitive. In the US, for example, T-Mobile and AT&T have implemented RCS, but applications are limited to their own networks. Now that the second (and final) release of the Universal Profile has been released expect more carriers worldwide to sign up. Universal Support: While RCS is currently supported by Android devices, iPhone users who receive RCS communications will not have the same rich experience. Will Apple eventually allow iMessage to work with RCS? Given that 34% of the smartphone market in the US — and over 12% worldwide — is iOS-based, Apple’s support would be a huge boon to users and marketers alike. Less Fragmentation: RCS hasn't been without challenges, challenges. The number of RCS versions in play and the complexity of RCS standards have kept many marketers from taking that first step. Happily, those challenges have been virtually eliminated with the current, and uncomplicated, Universal Profile as the primary standard. And even though RCS supports P2P usage, Google’s involvement has created a significantly stronger A2P play. This new business focus and the inclination that more carriers and manufacturers will adopt the Universal Profile are creating less RCS fragmentation, not more. At Twilio, we’re excited be part of Google’s Early Access Program, to support RCS Business Messaging, and to enable enterprise developers to build more engaging, rich messaging experiences. With Twilio, developers can use one API to deliver the richest experiences for any device, while reaching every user. And with our Rich Messaging Extensions, your developers can extend the Programmable SMS API with additional optional parameters for including rich content and interactive experiences. RCS Business Messaging and Rich Messaging Extensions to the Programmable SMS API are now in Developer Preview. Request early access or talk to us to learn more.